Editor/Author Beall, J.C. and Logan, Shay A. 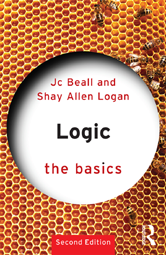 Logic: The Basics is an accessible introduction to several core areas of logic. The first part of the book features a self-contained introduction to the standard topics in classical logic.